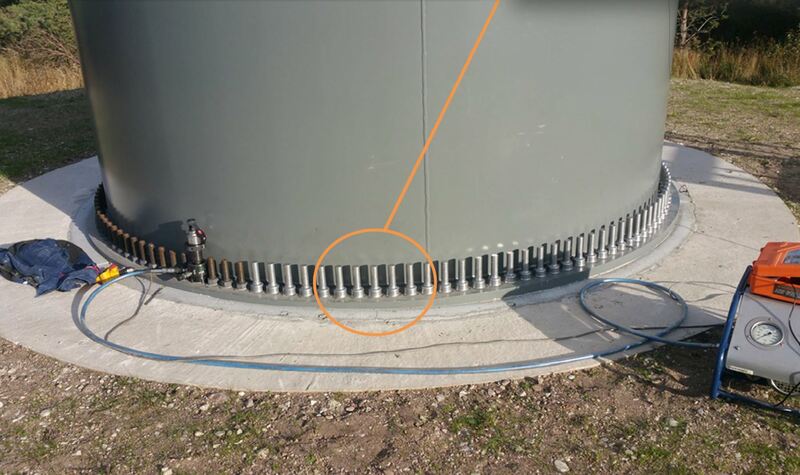 I already discussed in another post a frequent problem of with turbines foundation, the appearance of cracks. In general, my impression is that the new foundations with anchor cages are much more reliable that the previous technical solution (the “embedded ring” – the industry standard some years ago). However, every now and then I still hear story of foundations that need some kind of intervention due to mistakes during design and/or execution. Unfortunately there is a lot of secrecy on this issues. 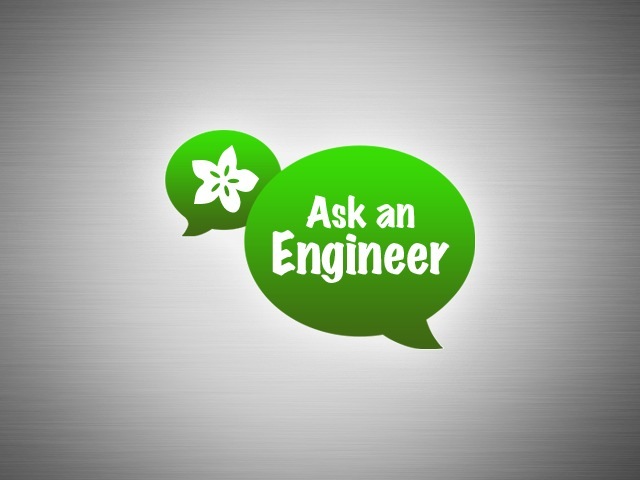 Unlike other civil engineering products (e.g. roads, dams, etc.) 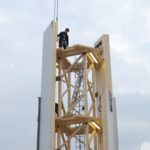 problems with wind turbines foundations are generally hidden, probably due to the fact that they are mainly private investments and probably the companies experiencing an expensive problem prefer to have as little publicity as possible. From several studies I’ve been able to found on the topic it seems that towers and foundations are accountable for less than 5% of WTG failures – being blades, gearbox and generator much more frequent sources of problems. However, while replacing a blade or a gearbox is “business as usual”, replacing a foundation is not really an option – and any intervention will probably be quite expensive. Problems in the foundations usually materialize as cracks in the concrete. In many cases they are caused by the cyclical nature of foundation loads – with a lifespan of 20 to 25 years the foundation can be exposed to millions of loads cycles. 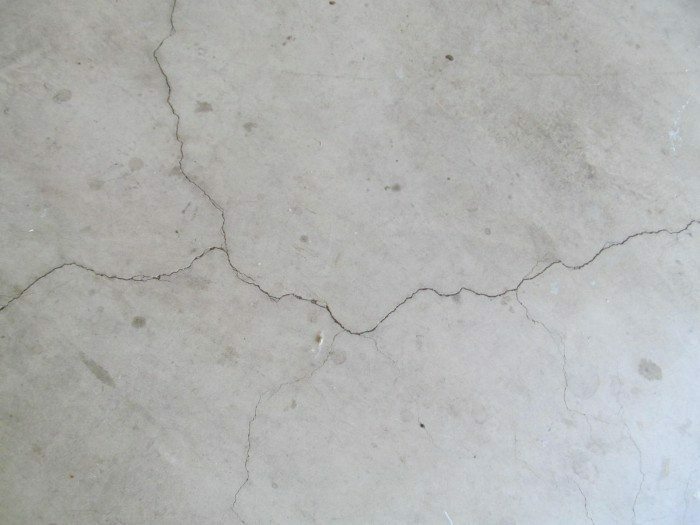 These cracks can be radial or circumferential, and appear both in the pedestal (the visible part of the foundation, where the tower connect to the foundation) and in the buried part of the foundation. Usually these cracks tend to appear soon (1 or 2 years) and they doesn’t pose a danger to the stability of the wind turbine. However, water could infiltrate them damaging the reinforcement bars. The position of cracks can be defined with ultrasonic devices. These technology use the echo of sonic waves to create tridimensional images of the foundation. In practice a crack will appear as a discontinuity, reflecting the wave to the receiver. Should cracks on a foundation worry you? It’s important to note that not all cracks are created the same: shrinkage cracks or cracks in the grouting due to an excess of material are usually less critical than the appearance of voids (for instance below the load spreading plate or the bottom flange of the anchor cage). I’ve noticed last week that the blog has no post on piled foundation and decided to write a couple of words on the topic on a flight back to Hamburg. Piled foundations is a broad term that include several technical solution aimed at increasing the bearing capacity of the soil when design requirements such as bearing capacity, limited differential settlement and/or necessary rotational stiffness can’t be met designing a standard shallow foundation. Piled foundation are a type of “deep foundation”, a concept opposed to the standard “shallow foundation” solution - other type of deep foundation solutions are for instance soil substitution and soil injections. They are relatively frequent. 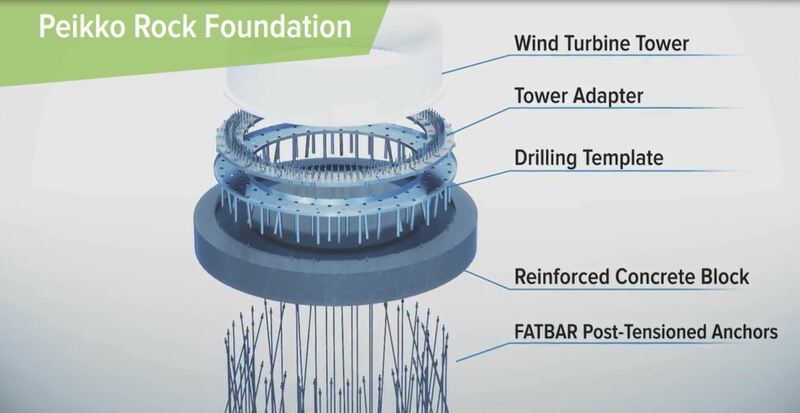 The number of piled foundation that you will see are very dependent on the countries you are working in – probably almost 100% of the new WTGs in the Nederland are piled, while turbines installed in Portugal on the top of a mountain ridge are usually on a shallow foundation. 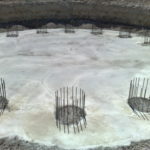 Piled foundation are usually expensive – as a rule of thumb, they can cost between 1.5 and 2.5 times the cost of a standard shallow foundation for the same turbine type. Cost: unsurprisingly, the main concern is usually to limit the impact of special foundations on the project budget. Constructability: sometimes the “best” solution can’t be selected due for instance to a shortage of machinery (a problem more frequent that you might think, above all in good times of strong economic growth), environmental constraints or other potential impacts (for instance, some piles are hammered and they can induce vibration on other building and structures nearby). Precast piles: this solution use concrete (or more infrequently, steel) piles fabricated somewhere else. Piles are driven into the ground by a hammering machine that measure the resistance of the soil to each blow. 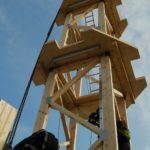 They say that “a driven pile is a tested pile” – and if you are not reaching the needed capacity you can keep hammering the pile to a greater depth as they are modular. Precast piles are usually more expensive and as mentioned they generate noise and vibrations. 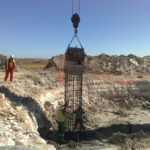 In situ piles: this type of piles are fabricated on the spot. Augercast piles, also known as continuous flight auger piles, are drilled by a machinery that first drill the hole to the requested depth and after, while retracting the auger, inject cement ground in the ground. 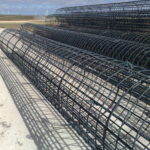 After concrete reinforcement bars are inserted in the pile. 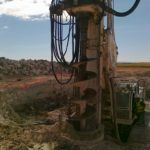 Drilled piles are similar – first the hole is drilled, after the walls of the excavation are kept into place using a fluid like bentonite or a steel casing. After, as in the previous case, concrete is pumped and concrete bars are inserted in the hole. 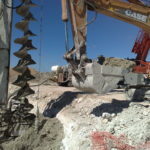 The last type are rammed aggregate piles (also called impact piers), where instead of concrete gravel is inserted in the hole and after hammered by the machine. By doing so a higher density is achieved for the gravel and for the soil around it. This solution is specially effective in seismic areas, were concrete piles can be broken by earthquake. The pictures above are coming from a wind farm I’ve worked at many, many years ago (I think it was called Zarzuela, with 22x V90 2MW… now the WTGs in the market are over 4 MW!). The piles shown were done by a company called Rodio Kronsa. If I remember correctly they were built pumping directly the concrete, without bentonite. The concrete was pumped from a central pipe, while in parallel the earth was extract by the rotatory driller (basically, a huge Archimedes' screw). After, the reinforcement bars were inserted. 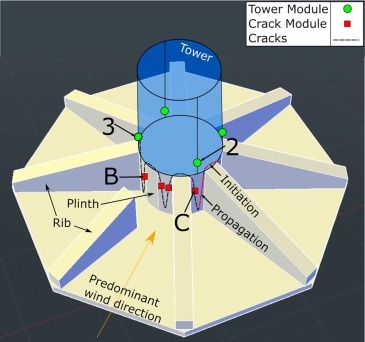 I discussed in another post the relevance of resonance analysis in the design of steel tower for wind turbines and the different technical solutions currently in the market. But what are the loads that could induce resonance in the wind turbine? Unbalanced rotor. This basically means that the blades have not the same weight. This problem can happen for several reasons: accumulation of snow, ice or simply variance in the production of the blade itself in the factory. The consequence is that the centre of gravity will move with the rotation of the blades inducing a centrifugal force in the system. Tower shadow effect. It is also known as dam effect – basically, the tower affect the speed of the wind nearby. This will affect the blade passing in front of the tower, unbalancing the rotor. Wind shear. 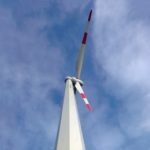 The wind will usually have a different speed increasing from the bottom of the rotor to the top. Errors in the configuration of the turbine. In this category I include any type of asymmetry generated by design mistakes, assembly errors, software errors, etc. For instance, a difference in the pitch of the blades could create a dynamic load. Type of towers – stiff, soft or soft soft? In the last month I spent a lot of time discussing about “soft soft” towers. But what does it exactly means? Steel tower for wind turbine are classified as stiff, soft, or soft soft based on the relative natural frequencies of tower, rotor and blades. You obviously want to avoid that your tower is excited by dynamic loads and start resonant oscillations. 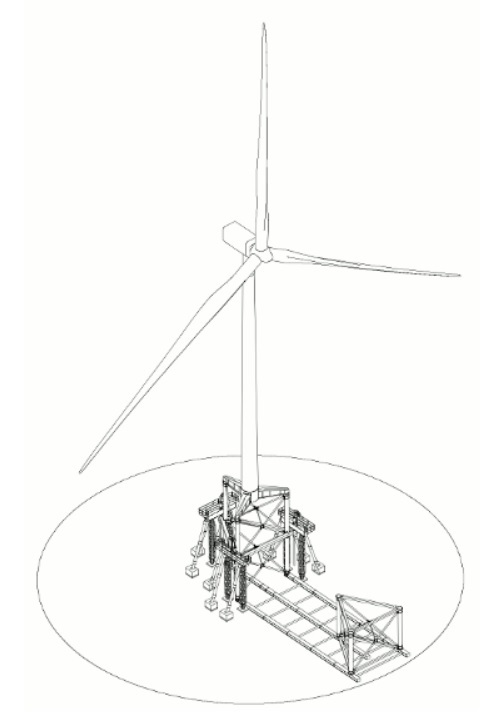 The primary sources of dynamic loads on the tower are the rotational speed of the rotor (usually indicated with P) and the blade passing in front of the tower. The blade passing speed will obviously be 3P. I think that it’s worth mentioning that rotational frequency loads will arise only when the blades are unbalanced. We call “stiff” (or “stiff stiff”) a tower whose fundamental natural frequency is higher than that of the blade passing frequency. 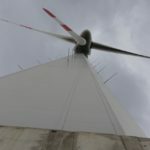 This is a very good thing (the tower is unaffected by the rotor) but a bigger mass is needed – therefore the cost can be very high. Additionally, a stiff tower tends to radiate less sound. 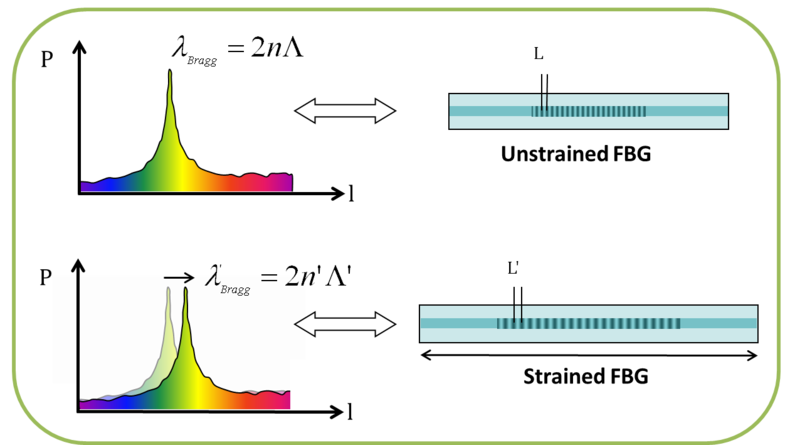 “soft” is a tower whose fundamental frequency is lower than the blade passing frequency, but above rotor frequency. “soft soft” is a tower whose natural frequency is below BOTH rotor frequency and blade passing frequency. “stiff stiff” design is not usual. Currently, towers in the market are either “soft stiff” or “soft soft”. Soft towers are usually lighter (= cheaper) but require more dynamic analysis.